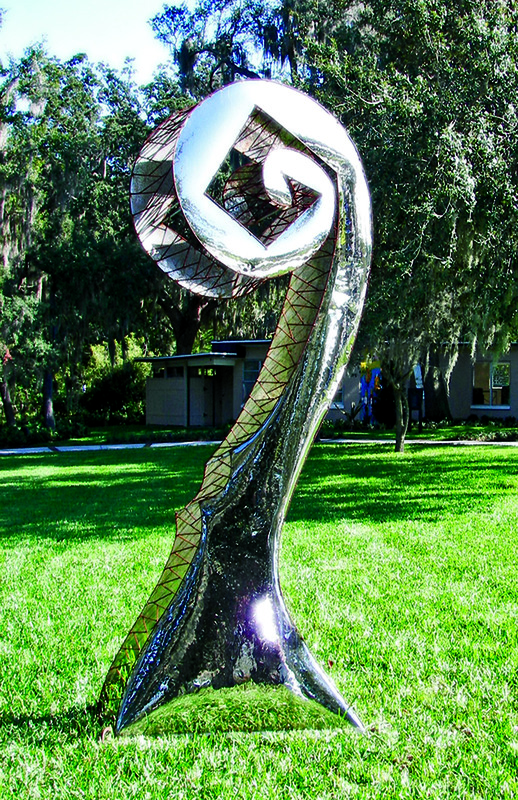 Jacob Harmeling has been a professional sculptor since 1990 and raised in a family of artists who have influenced and encouraged his career. Jacob has worked in almost all mediums, though his passion in metal sculpture have defined him and continuously mold him as an artist. Throughout the last twenty years, he has developed his own style of texture and form through experimentation of welding styles, heat tolerances, multiple media combinations and metal expansion, to gain his desired results. Jacob's inspiration for natural earthly elements fuels his desire to mold this rigid media into organic forms. Fire, a significant subject and tool in his work, characterizes his artistic process as well as his spirited personality. Jacob operates Qui Studios with his wife, Jacquelyn, in the heart of the art district in Orlando, Florida. Visit him online at: www.quidesignstudio.com.